When I first learned about the concept of olfactive branding, a branding strategy that consists of creating customs scents for brands and spaces to improve the brand image, I was unaware of its power. I walked into a hotel and was struck by a strong, appealing smell that immediately brought back fond memories. I felt relaxed and content. I did not want to leave. It was while I was sitting in the lobby that I realized that brand identity clearly is not limited to verbal or visual senses. There is immense power in branding spaces with unique scent identities, a concept many of us have probably been exposed to unconsciously. Verbal and visual branding experiences actively appeal to our brain, yet others, such as olfactive branding experiences, may be more unconscious, as we don’t naturally tend to connect scents with brands unless it’s a fragrance. Before birth, during the third trimester, we develop a sense of smell, which marks the beginning of our taste preferences. Smells are first processed by the olfactory bulb, which is connected to two parts of the brain that are strongly associated with emotion and memory. All other senses, interestingly, do not pass through these parts of the brain. Hence, both smell and emotion work together, as smell triggers memories and emotions. This automatically connects scent and emotion, creating scent memory for us – the most emotive of all senses. Therefore, it is of no surprise that brands use custom scents for their products or spaces as a mechanism to market to consumers with the aim of generating more revenue and creating brand loyalty in the long run. Have you ever wondered what your favorite brand would smell like if converted to a scent? Scent branding has been popular at restaurant chains, retail stores and hotels such as the Armani hotel in Dubai. With my recent trip to Dubai, I quickly observed that scent branding was not limited to these spaces. It was everywhere. Not only in the above named permanent spaces, but also at temporary locations such as events and pop-up shops. Oud, a distinct oil scent that I immediately recognized and associated with the UAE is characterized by its strong smoky fragrance and traditionally worn by Emirati men and women. Indeed, it is so popular that even western perfume brands have launched variations of this signature scent over the years, some also adding musk as another key ingredient. 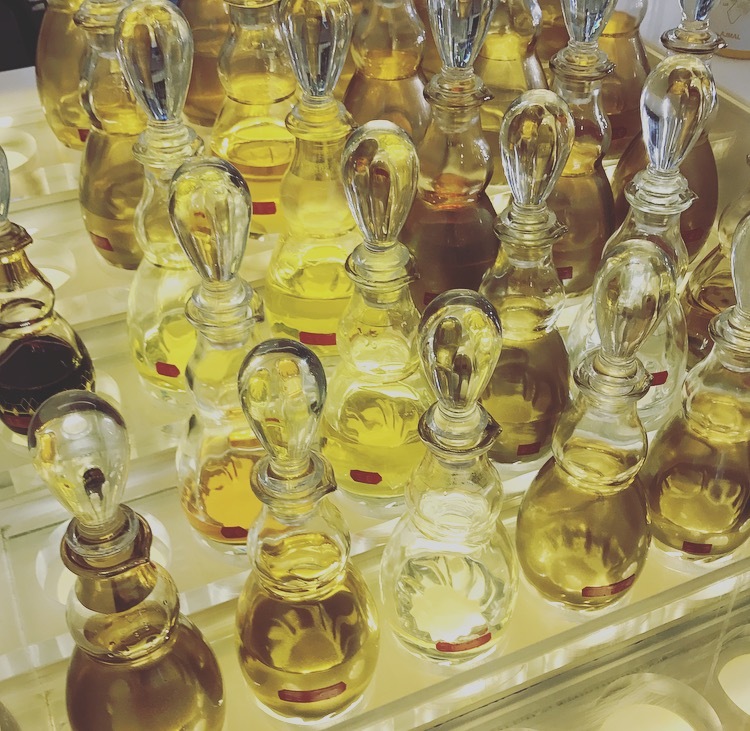 Whether it is Giorgio Armani, Christian Dior, Gucci, Roberto Cavalli or Yves Saint Laurent, the oil scent has become a part of fragrance collections in the Middle East. By doing so, these brands have localized their product offerings through scents. Attracting consumers in this market, allows them to generate more revenue while also offering exclusiveness in luxurious markets like Dubai and Abu Dhabi. While some brands choose to align the scent of their spaces globally, others adapt it to every geographical location, similar to ingredients adapted locally such as Starbucks’ Iced Date Macchiato or Mc Donalds’ Chicken Big Mac in Dubai. Regardless, uniquely branded scents create brand associations and memorable experiences for people. This leaves me with the thought that olfactive branding can indeed have an emotional and positive effect on brand strength by attracting consumers, resulting in enhanced brand perception and intensified brand loyalty.